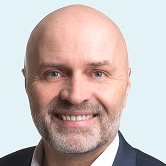 Thomas heads Colliers' Stavanger office which he started in 2017. Thomas works with leases, tenant representation and transactions. He does office, industrial and retail/restaurants. He has a broad experience from the market in the Stavanger Region since 2003, thus has an extensive knowledge about this market. He previously worked for Øgreid Eiendom, Handelsbanken, KAS/Andersen Consulting and Telenor. Started the Stavanger office of Colliers International in late 2017, which is now working with some of the major real estate owners and developers in the region to land contracts for leases and transactions. Norwegian School of Economics and Administration (NHH) / Siv.øk. Jostein started working for Colliers International in February 2018 and works primarily with leasing and transactions focusing on the Norwegian commercial real estate market in the region of Stavanger. Jostein has over 20 years of experience with B2B, and has in the last 15 years been working within leadership and sales in the IT industry. In addition to this, he was over a period of five years, working for DnB Bank, responsible for small and medium sized enterprises in the region of Rogaland in Norway.